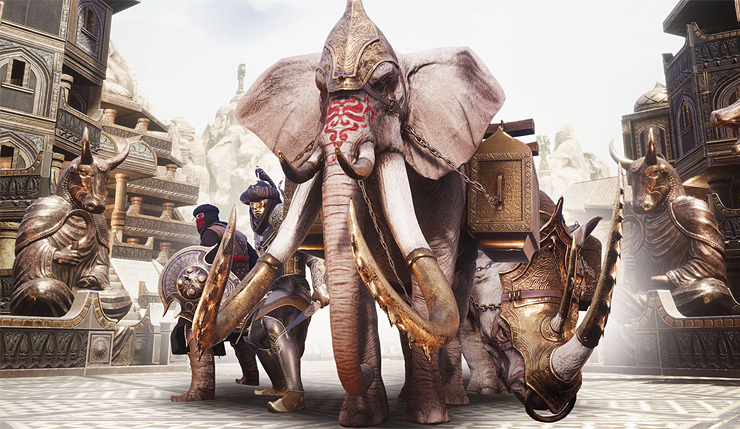 It’s been a bit of a rocky road for Conan Exiles since launching in early access form in early 2017, but, apparently, the game is still doing fairly well for publisher Funcom, as they’re launching a new season pass for the game today. The Year 2 Season Pass will consist of four updates — Treasures of Turan, Riders of Hyboria, Blood and Sand, and Mysteries of Acheron – the first of which, is available today. The Treasures of Turan Pack, brings the opulent gilded palaces of Turanian culture right to your fingertips. The Conan Exiles Year 2 Season Pass will set you back $30.